We’d love your help. 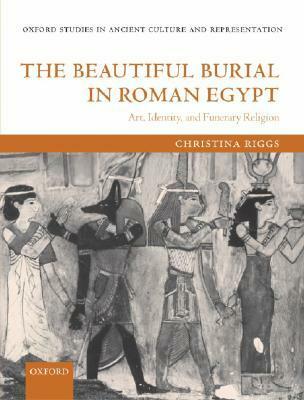 Let us know what’s wrong with this preview of The Beautiful Burial In Roman Egypt by Christina Riggs. To ask other readers questions about The Beautiful Burial In Roman Egypt, please sign up. 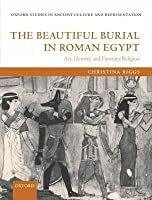 A really fantastic read; focuses on the depiction of individuals in the funerary settings of Roman Egypt. Riggs debunks the idea that the Greek/"naturalistic" depiction (as opposed to the stylized Egyptian image) of people is a chronological development or a means of understanding the individual's cultural associations. Says she, "The choice to use either a Greek or an Egyptian image of the deceased was not a chronological development or a statement of 'ethnic' identity" (252). She notes that the A really fantastic read; focuses on the depiction of individuals in the funerary settings of Roman Egypt. Riggs debunks the idea that the Greek/"naturalistic" depiction (as opposed to the stylized Egyptian image) of people is a chronological development or a means of understanding the individual's cultural associations. Says she, "The choice to use either a Greek or an Egyptian image of the deceased was not a chronological development or a statement of 'ethnic' identity" (252). Christina Riggs is a specialist in ancient Egyptian art and archaeology, with particular interests in how ancient Egyptian objects have been collected, interpreted, and represented in modern times. Her current research focuses on the history of photography and the history of archaeology, using the photographic archive formed during the excavation of the tomb of Tutankhamun in the 1920s. Riggs has w Christina Riggs is a specialist in ancient Egyptian art and archaeology, with particular interests in how ancient Egyptian objects have been collected, interpreted, and represented in modern times. Her current research focuses on the history of photography and the history of archaeology, using the photographic archive formed during the excavation of the tomb of Tutankhamun in the 1920s.